Saucer 5.5 cm 14 ins diameter. 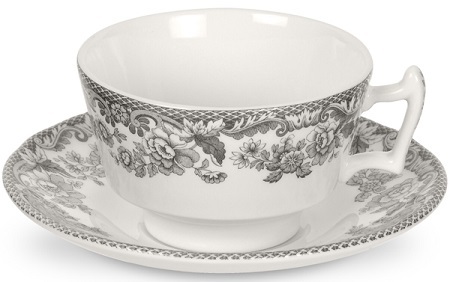 Be the class of the party with your Spode Delamere Rural grey Teacup and Saucer. Made in England. Brand new and first quality china, which is dishwasher and microwave safe.